This is the ultimate bag of tricks, with everything you need to keep your new baby healthy and groomed. 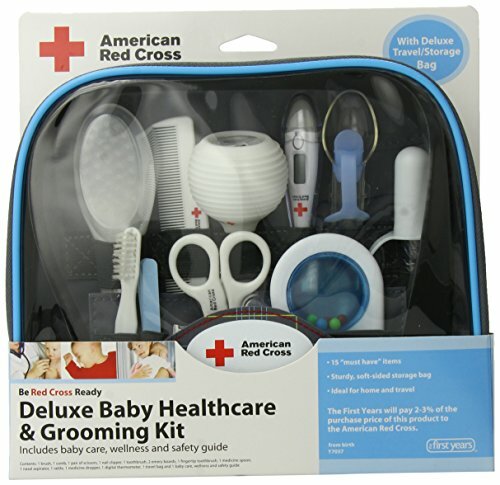 This complete, 17-piece kit contains a nasal aspirator, digital thermometer with case, soft-tip medicine dispenser, comfort tip medicine spoon with cap, brush, comb, scissors, nail clipper, fingertip toothbrush, emery boards and more—all zipped into a deluxe travel/storage bag. It even includes a baby care, wellness and safety guide so you master every task with confidence. You name it, it ‘s in the bag!